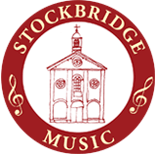 Etruscans, Babylonians, Greeks, Romans, angels(of course) and a full house at Stockbridge Music’s concert in the Town Hall last saturday( 17th October 2015) have all thrilled over nearly three milenia to the ethereal sound of harp music. Rulers from Agamemnon to Edward VII have joined their company. Sarah Deere-Jonesis is as accomplished and knowledgeablea performer on the instrument as one will find anywhere, and in her lecture recital entitled ” The Time Traveller’s Guide to the Harp”, she squared up to its historical and technical complexities befroe her delighted audience. In effect, her evening combined the easy, extremely amusing delivery of a top class university lecturer with the skills of a faultless performer. Assisted by her husband, ( himself no mean musician) as occasional accompanist on the guitar and a collection of no fewer than five harps ancient and modern, she took us on a time-tour of harp music through the ages, ranging from medieval Scottish laments and dances, via an eighteenth-century Danish composer who wrote in a Mozart-Handel idiom ending with Dave Brubeck’s “Take five”. She told us that jazz and atonal , arhythmic modern music pose particular challenges for any harpist, and her tutors bullied her into these channels in order to enhance her skills. They had clearly been successful. We learnt, among other things, that the harp for much of its life suffered from the serious restriction that it was a single key instrument, because the introduction of additional strings to cater for sharps and flats would have necessitated the provision of so many extra strings as to make playing the instrument too complex. eventually, about 300 years ago, it dawned on an ingenious Austrian that this problem could be accommodated by the provision of a small lever on the top of the bar framewhich, when depressed, shortened a string by an amount enough to make thebstring sound a semitone higher, there by making it into a sharp. The result was the introduction of levers for each string like little light switches along the top of the bar frame which now enabled the instrument to be played in different keys or , by rapidly using the switch while playing, to play a sharp note if thescore required it. A century or so later , the Parisien pino builder Erard, finding himself losing out to the superior piano made by John Broadwood, tuned to improving the mechanics of the harp and intoduced a pedal system. If you ever wondered what the pedalling carried out by a harpistis all about, the system introduced by Erard in 1809 is the cause. He introduced the system whereby adroit use of the pedal can either shorten or lenghten a sring by a semitone, thus enabling the harpist to play both sharps and flats with one tweak of the pedal with almost the same dexterity as a pianist, which in turn, removes the need for a small forest of extra strings which would defeat all but the most accomplished performers. We learnt a great deal from Sarah Deere-Jones, and her playing a wonderful evening enjoyed by all.